NatHistCam would like to invite you to help us find Large Red Damselflies in the city. They are quite common, but we would like to collect up-to-date information on where they are breeding within the city. 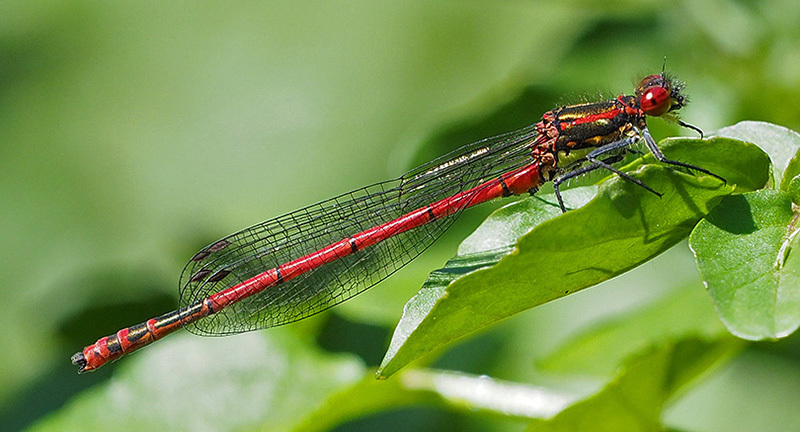 The Large Red Damselfly (Pyrrhosoma nymphala) is one of the earliest damselflies to emerge and one of the most distinctive, so easy to identify. The only similar species is the much rarer Small Red Damselfly which has so far not been recorded in the city. Apart from size, it can be easily distinguished by its red legs. We need to know WHERE it is breeding. Be as specific as possible for your sightings, for example giving street and house number, or even better a national grid number. WHEN did you notice it? Please give the exact date (day, month, year). Please provide details on the HABITAT you observed the damselflies (stream, ditch, pond or away from water). Also let us have details of SIGNS OF BREEDING (coupled pairs, egg laying) and let us know if you have photos.